This is my accommodation this week as I’m camping with our boy scout troop at summer camp. As you can see I have the air conditioner turned on (the tent flaps are open). Fortunately, the weather forecast is for cooler temps this week. Only in the 90s Fahrenheit instead of in the 100s! 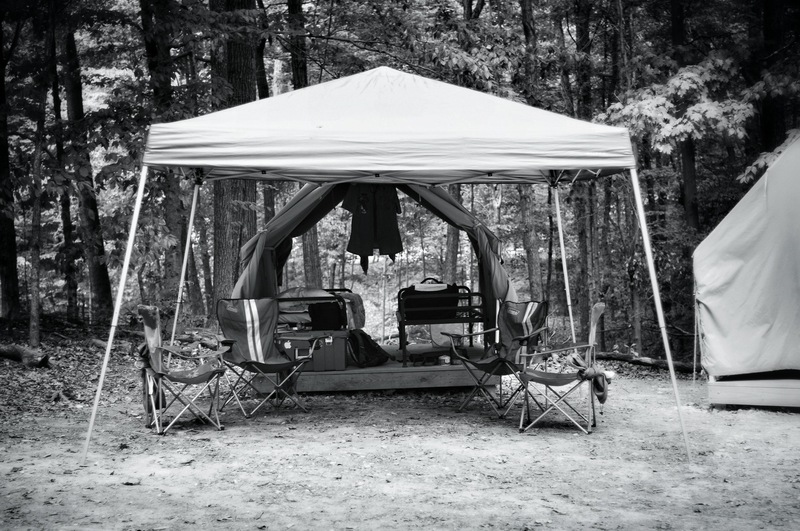 This entry was posted in Black & White, Camping, Landscape, Leica, Leica Summicron-C 1:2/40, Photography, Ricoh A12 Mount, Ricoh GXR, Travel and tagged Boy Scouts, Camp Ransburg, Camping, Leica Summicron-C 1:2/40mm, Ricoh GXR, tent. Bookmark the permalink.